The Alvin House Plan Fixtures Drafting Template is well made and helps you quickly and accurately draw various architectural features. Contains door swings, kitchen and lavatory fixtures, ANSI symbols, circles, floor elevation indicator, and roof pitch index. 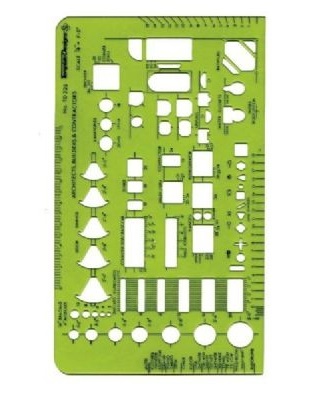 Template Size: 3¼" x 5½" x .030".